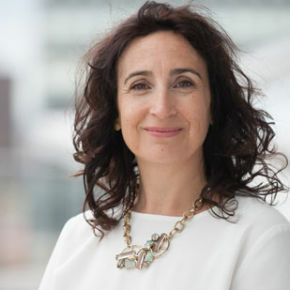 The UK’s Groceries Code Adjudicator (GCA) Christine Tacon has ordered the Manchester-based Co-op Group to introduce major changes to its governance, systems and processes after carrying out a formal investigation into the retailer. Tacon found the Co-op Group had breached the Groceries Supply Code of Practice on two counts. Tacon said: “The practices and behaviours described in my report were widespread. “Systems, processes, business practices and the ability of different parts of the retailer to affect suppliers’ risks and costs of trading with the company all contributed to Co-op breaking the Code. “At the core there was inadequate governance to oversee and manage Code compliance. “The clear conclusion is that Co-op needs to take a very different approach to Code compliance. Co-op must in any potential de-listing situation communicate with affected suppliers to enable the retailer to decide what is a significant reduction in volume and reasonable notice. In its response, The Co-op said it has sent a full apology to its suppliers. Jo Whitfield, The Co-op’s Food Chief Executive Officer, said: “We are sorry. We’ve gone to great lengths to put these things right and have undertaken a root and branch review of all our supplier dealings. “We were focussed on rescuing the Co-op and doing right by consumers but we should have also given more thought to the potential impact those planned changes would have on our suppliers. “It is clear we tried to move more quickly than our systems, processes and people could handle.